The jawline, with the chin being its centerpiece, is an important component of facial beauty and harmony. Chin augmentation surgery, also referred to as genioplasty, is a surgical procedure that corrects a chin that is too small or too short. In doing so, the facial features are brought into better proportion and the jawline is better defined. The end result is a more attractive appearance as the facial features are brought into better harmony. Chin surgery can be performed with a few different techniques depending on your goals for results. The chin may be augmented by using implants or advancing the bone itself. Chin surgery is often combined with other facial procedure such as rhinoplasty to achieve desired facial balance. The chin surgery procedure is typically done under anesthesia for your comfort and you will be able to go home the same day as surgery. During the procedure, a small incision is made below the chin in the existing crease, or completely hidden inside the mouth. When an implant is used to augment the chin, space is developed to place the solid silicone device. Dr. Shaddix will carefully select the implant that will give you the result you desire. When your own bone is used, the bone is advanced to the desired position and secured. The incisions are then closed with dissolvable sutures. It is important to take some time off from work to recover. A week of rest without strenuous activity is advised. You will have some bruising that will resolve within a couple weeks and your postoperative discomfort will be managed with medication prescribed by Dr. Shaddix. 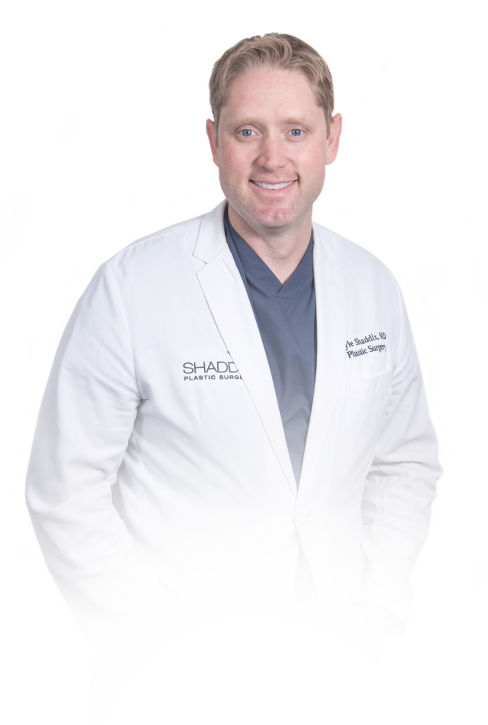 Dr. Shaddix will provide you with detailed instruction to guide you through your recovery, and he will be available to answer your questions along the way.